The 18-hole Bloomfield Hills Country Club in Bloomfield Hills, MI is a private golf course that opened in 1936. Designed by Donald Ross, Bloomfield Hills Country Club measures 6529 yards from the longest tees and has a slope rating of 125 and a 71. The 18-hole Forest Lake Country Club in Bloomfield Hills, MI is a private golf course that opened in 1926. Designed by William Diddel, Forest Lake Country Club measures 6279 yards from the longest tees and has a slope rating of 127 and a 71. The 9-hole Heathers Club in Bloomfield Hills, MI is a private golf course that opened in 1987. Designed by Bill Newcomb, Heathers Club measures 3205 yards from the longest tees and has a slope rating of 140 and a 36 USGA rating. The course features 4 sets of tees for different skill levels. The 18-hole North at Oakland Hills Country Club in Bloomfield Hills, MI is a private golf course that opened in 1923. Designed by Donald Ross, North at Oakland Hills Country Club measures 6651 yards from the longest tees and has a slope rating of 130 and a 72. The 18-hole South at Oakland Hills Country Club in Bloomfield Hills, MI is a private golf course that opened in 1917. Designed by Donald Ross, South at Oakland Hills Country Club measures 7105 yards from the longest tees and has a slope rating of 137 and a 75. 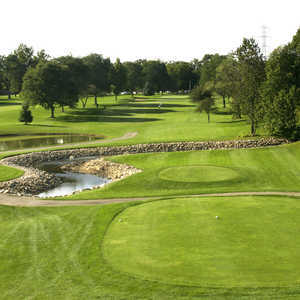 The 9-hole Stonycroft Hills Club in Bloomfield Hills, MI is a private golf course that opened in 1952. Designed by Ted McManus, Stonycroft Hills Club measures 2911 yards from the longest tees and has a slope rating of 126 and a 34.6 USGA rating. The course features 5 sets of tees for different skill levels. 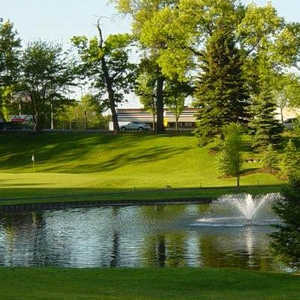 The 18-hole Wabeek Country Club in Bloomfield Hills, MI is a private golf course that opened in 1972. Designed by Jack Nicklaus, Pete Dye and Roy Dye, Wabeek Country Club measures 6451 yards from the longest tees and has a slope rating of 142 and a 72.